… Robert McCulloch’s 28-year tenure as St. Louis County prosecutor came to a sudden, unexpected end. You might remember McCulloch. For a brief moment, on Nov. 24, 2014, he was the most-watched law enforcement official in America. That night, eastern Missouri was bracing for violence as McCulloch announced that a grand jury had declined to indict police Officer Darren Wilson for fatally shooting unarmed 18-year-old Michael Brown after a struggle in the city of Ferguson. White House Press Secretary Sarah Sanders forced to leave a restaurant because she works for President Trump. DHS Secretary Kirstjen Nielsen harassed at a restaurant and harassed at her home by “protesters” because she’s enforcing our immigration laws and, by so doing, protecting our country. Political litmus tests! Who could imagine? Below is text translated (with some editing) from a Russian magazine article, concerning activities of “Russian trolls” and how they used social media, online fundraising, and community organizing to interfere in the politics of the United States. Hillary Clinton has made some amazingly hypocritical and clueless comments lately. Even for the typically far-from-self-aware Clinton, she’s outdone herself in exhibiting her hypocrisy and, especially, her myopia. On Monday the United States celebrates Columbus Day, a national holiday. 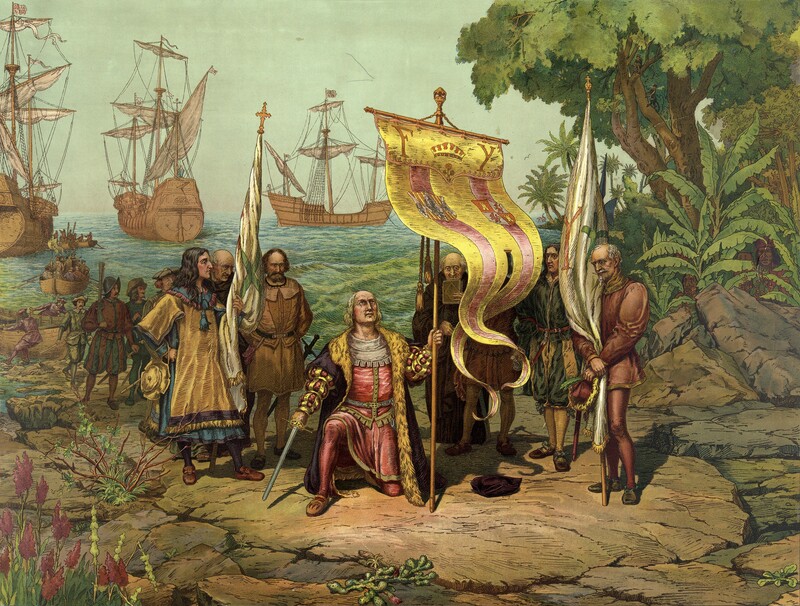 On October 12, 1492, Christopher Columbus landed in the New World.